Part 1 is required for this class. You will need to bring your t shirts that have been cut out and interfaced and your sewing machine. 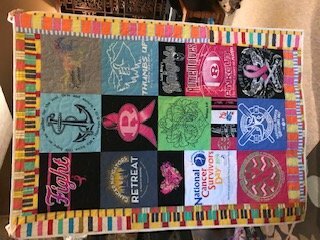 In this class, you will layout your quilt top, add sashing (if desired) and learn the process of piecing it together and adding borders. If you need to use a machine, please let us know at sign up. Requirements: You will need to bring your t shirts that have been cut out and interfaced and your sewing machine. 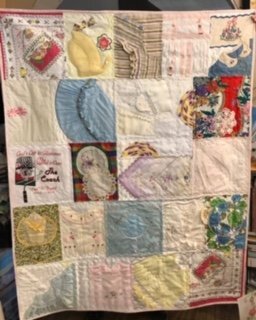 In this class, you will layout your quilt top, add sashing (if desired) and learn the process of piecing it together and adding borders. If you need to use a machine, please let us know at sign up.